Rue Manin is a purple jelly with a lilac flakie shimmer and various purple & lilac multi-sized hex and square glitters. All nails are 3 coats with a top coat of Seche Vite. 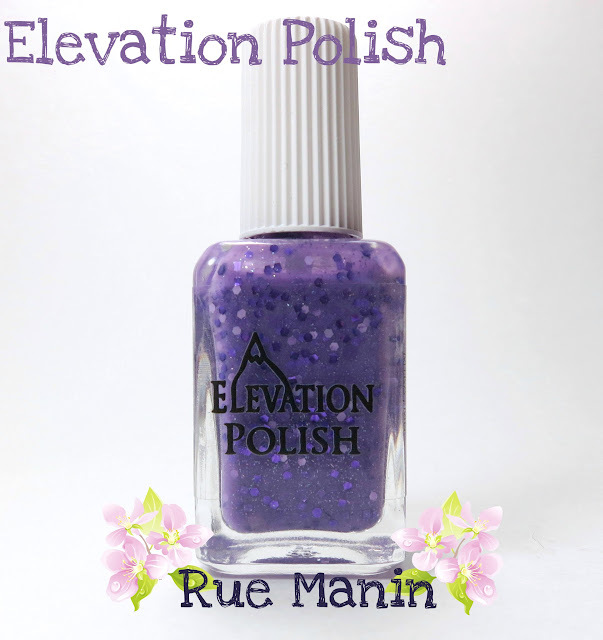 Elevation Polish can be purchased online through her Big Cartel storefront. She restocks every 7th and 22nd of each month at 9 PM CST. Make sure to check out Lulu's blog and Flickr, to stay up to date about new colors coming out.